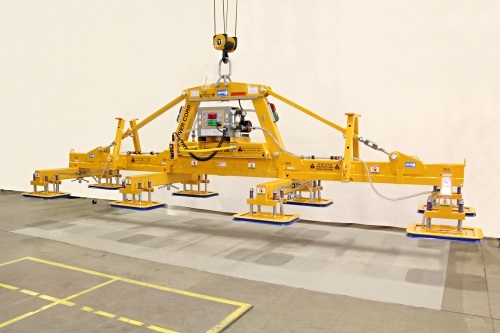 The LG2560M8-Series eight-pad lifting frames are ideal for handling carbon steel and stainless steel sheets, plates and non-ferrous materials like aluminum with a capacity up to 25600 lb (11612 kg). 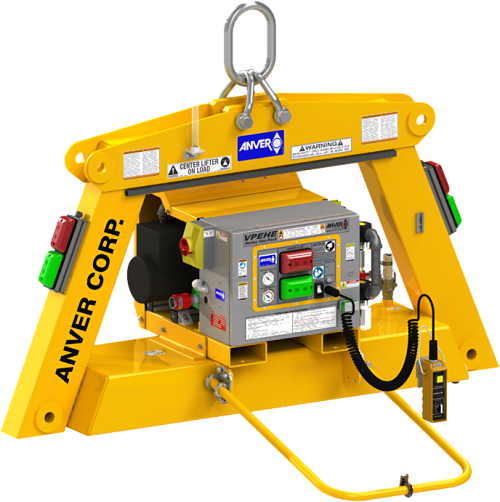 The type of vacuum lifter – Mechanical, Electric or Battery – paired with the number of pads used will depend on your application needs. 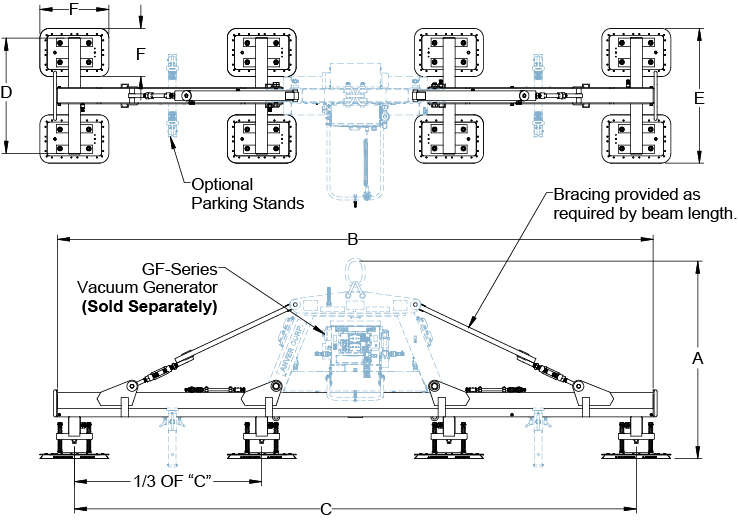 Quad mounting vacuum pads feature top & bottom springs to handle wavy plate. Inner crossarms (1/2 capacity) for use with smaller plates. Outer crossarms provided with shut-off valves.